Charles de Lauzirika is an award-winning documentarian and director based in Los Angeles. While attending USC film school, Charles worked for film companies like Lucasfilm Ltd., Lightstorm Entertainment, Warner Bros., Silver Pictures, and Scott Free Productions. While working in development at Scott Free, he transitioned to producing special edition DVDs for director Ridley Scott. 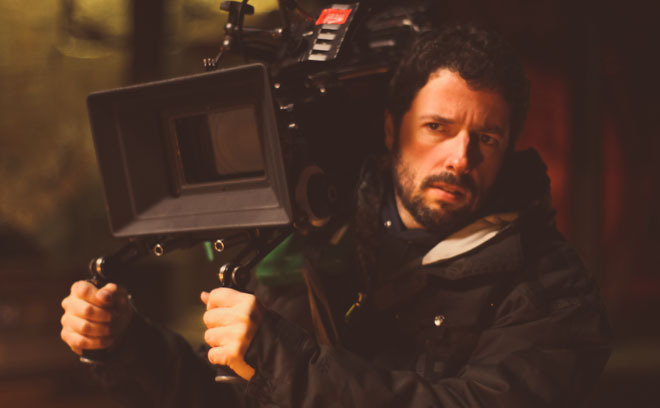 He has also produced behind-the-scenes content for the titles of directors including David Lynch, Sam Raimi, James Cameron, the Coen Brothers, Michael Bay, David Fincher, Robert Rodriguez and the late Tony Scott. His work has been nominated for Video and DVD Premiere Awards and in 2003, his nine-disc Alien Quadrilogy won the DVDX Award for Best Overall DVD, Classic Movie. He has also won Saturn Awards for his work on Blade Runner (Best DVD Special Edition), Twin Peaks (Best Retro Television Release), and the Alien Anthology Blu-ray collection (Best DVD Movie Collection). He has also directed several commercials and short films, as well as the music video for Montell Jordan's “When You Get Home.” Charles’ first feature film as a director, Crave, had its world premiere at the Fantasia International Film Festival where it won the New Flesh Award for Best First Feature Film. Crave went on to have its U.S. premiere at Fantastic Fest in Austin, Texas where the film won Best Director in the Next Wave Competition.